Emile Idzenga is Account Director at AxiCom Benelux. In this position he is responsible for designing and implementing the PR strategies for a number IT and telecom companies. He is always focused on driving the PR campaigns of his clients with their specific goals in mind. For him, PR is never “l’art pour l’art” but has to provide a significant ROI. During his career he has helped to shape the profile of tech startups such as VMware, Adyen, and iQU. Prior to joining AxiCom, Emile was Deputy Editor in Chief of ComputerPartner, an IDG title. 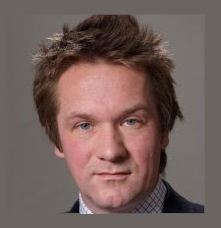 He joined ComputerPartner in 1999 where he became an IT channel specialist and well connected within the Dutch IT landscape.